Hi, my name is Makson, but you can call me Maks (AKA Max). In 8 years working as a designer I was able to work and collaborate with startups from early-stage to established ones such as Movile, PlayKids, and Pipefy. My routine as a Product Designer is focused on creating products through research, data analysis, qualitative and quantitative user research, usability tests and user interface design. As for my personal routine, I have skateboarding and illustrating as my main hobbies. I'm also always up for visiting a new coffee shop and to talk about Sci-Fi movies. Art, graphic design, digital, illustration, editorial, color composition, advertisement and branding design. Qualitative user research, design thinking, ethnographic Research prototyping, business design, usability and user journey. SAAS B2B - ﻿Pipefy is a cloud-based business process management platform that empowers managers to build and execute any type of workflow. I’ve been working at Pipefy since the early-stage and my main responsibilities are understanding the user behavior through research and data and by that, designing an engaging and user-friendly product. Pipefy is a cloud-based business process management platform that empowers managers to build and execute any type of workflow. I’ve been working at Pipefy since the early-stage and my main responsibilities are understanding the user behavior through research and data and by that, designing an engaging and user-friendly product. SAAS B2C - PlayKids is the number one children's app in the U.S.A with six million monthly active users under its belt. I was the creative lead of the team who was responsible for the strategy to get new subscribers outside of the Apple and Play store platforms. Concept, direction, and design of digital products and services across mobile and desktop, targeting their growth acquisition. A graphic design studio borned in 2003, based in Curitiba. The studio offers services such as naming, branding, visual identity, communication, and packaging. During my time there I had the privilege to work with many branding developments and I also led end-to-end all company digital projects. A full-service agency, Tif is an award-winning integrated creative network that makes brands matter, specializing in creating experiences, design, and communications. 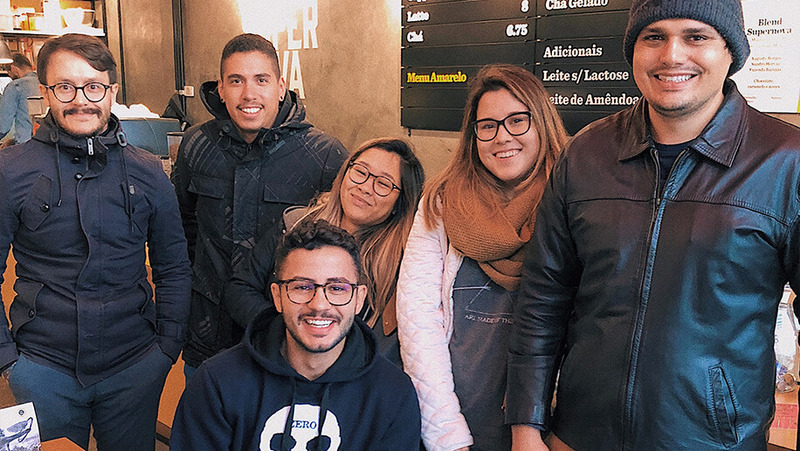 During my time at Tif I've had the opportunity to work for several companies helping their creative directors and writers to create meaningful campaigns for Brazillian brands. This is just an overview of each company I've had the privilege to work with. You can have a better look about my contributions and achievements in each company on my LinkedIn profile. Also, I have a page dedicated to my work at Pipefy, you can check it out here. This is just an overview of each company I've had the privilege to work with. You can have a better look about my contributions and achievements in each company on my LinkedIn profile. Also, I have a page dedicated to my work at Pipefy, you can check it﻿ out here. To thank you for checking out my work here are some pictures I took from the most beautiful pets I've crossed, feel free to appreciate.